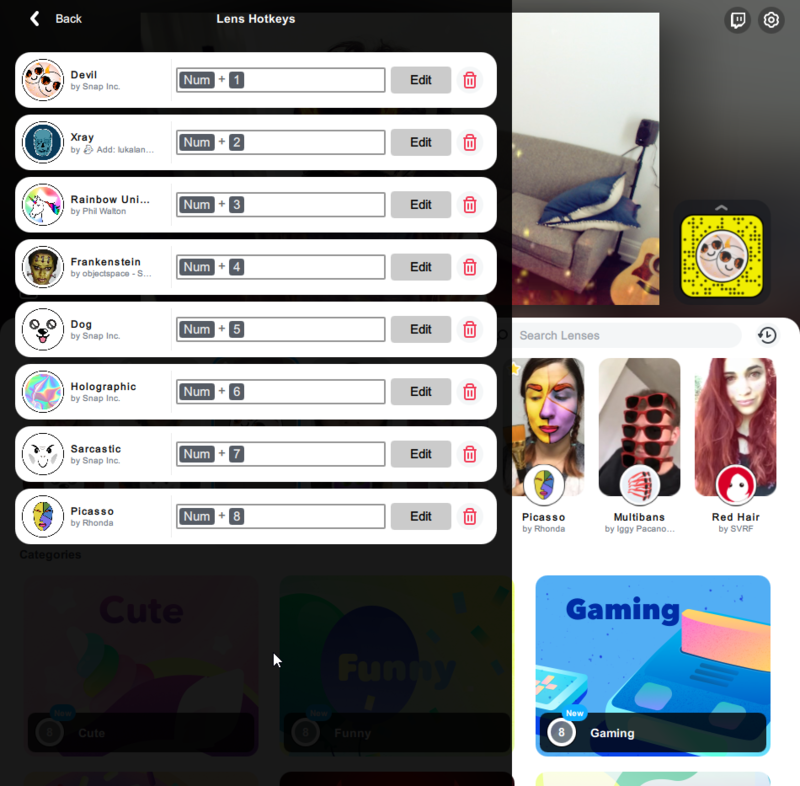 Here's an exciting new addition to Social Booth V. 2.4.97, Snapchat Filters! 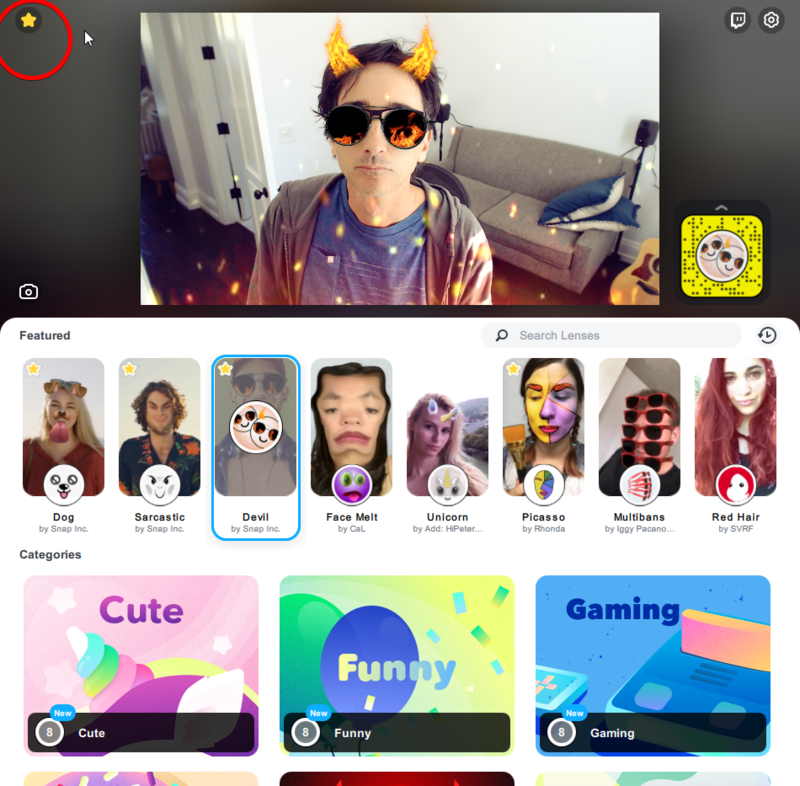 By using Snapchat's Snap Camera application, you can now use live Augmented Reality in Social Booth. 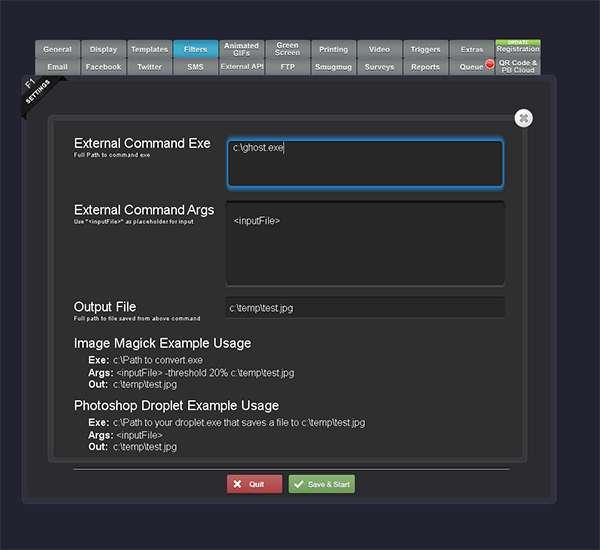 You can even create your own filters for your client! 1. Download and install Snap Camera here. 3. 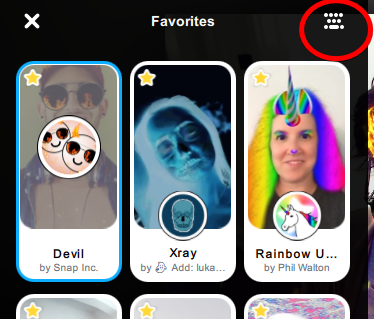 Select some of your favorite filters by clicking on the star. 4. Go into the Favorites menu. 6. Use your number pad 1-8 to assign hotkeys. The maximum # of filters supported by Social Booth is 8. 7. 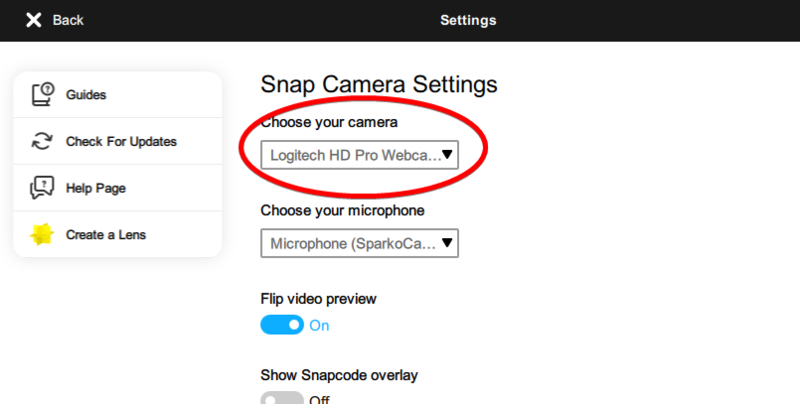 Open Social Booth and select “Snap Camera” as your webcam source. 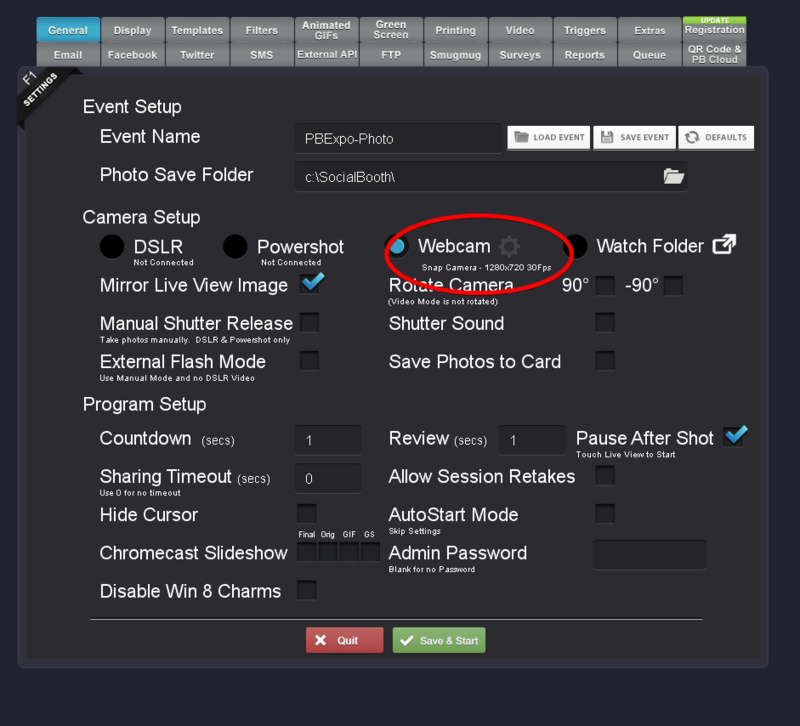 You may also want to enable “Pause After Shot” to allow the user to change filters in between shots. 8. Go to the Filters tab and enable Snapchat filters. 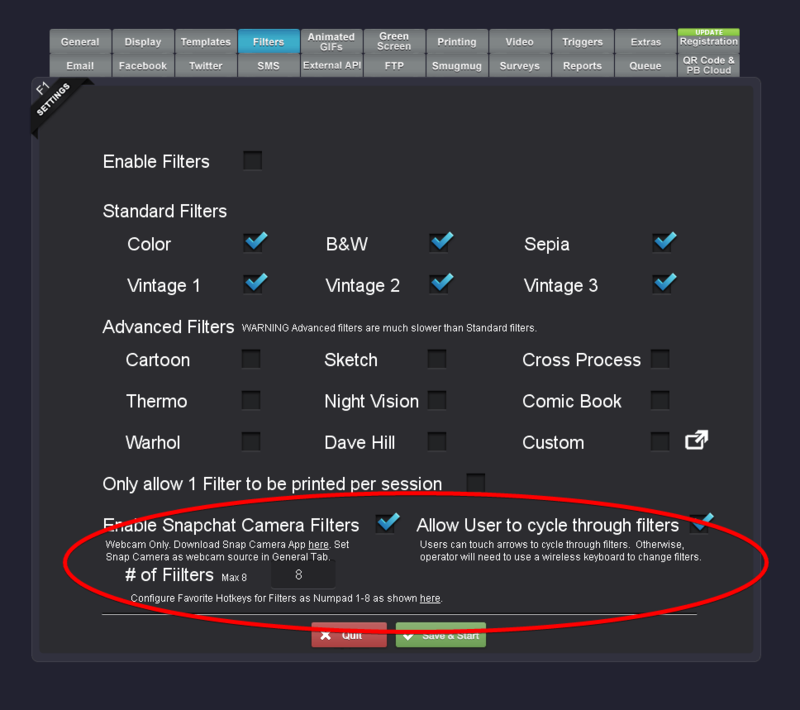 Type in the # of filters you are using. If you would like the user to be able to cycle through the filters using arrows on the screen, enable that option as well. Otherwise, you can use a wireless keyboard to change the filters for the user. As of December 11, 2018 Facebook is depreciating the old Instagram API and replacing it with a new one. Users will need to update to BYO Booth version 2.6.1 or greater in order to download photos from Instagram. You will also need to login to a Facebook account in BYO Booth instead of an Instagram account. This Facebook account must be the adminstrator of a Facebook page and this page must be linked to an Instagram Business account. How do I change my personal Instagram account to a business account? - Go to your profile and tap the settings gear icon. - Tap Switch to Business Profile. How do I create a Facebook Page? - Follow these steps here. 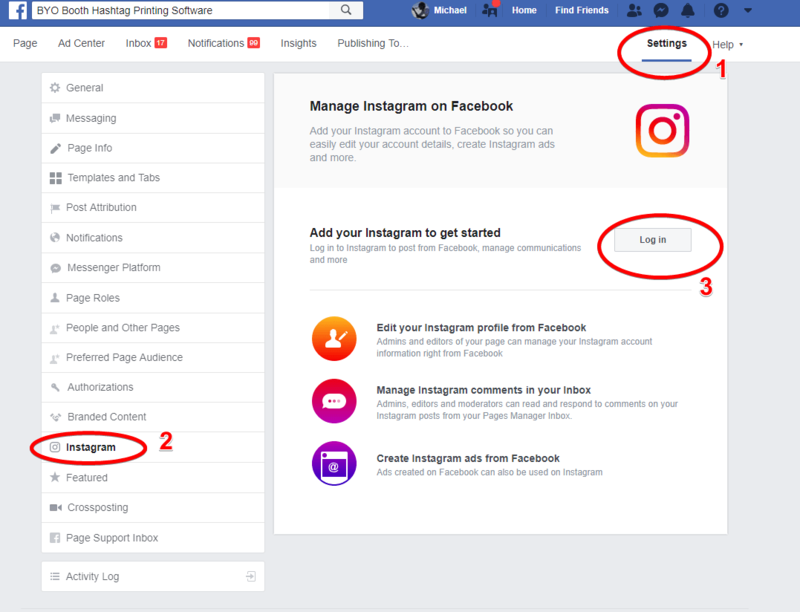 How do I link my Facebook Page to my Instagram Business Account? - Tap Switch to Business Profile and select the Facebook Page you’d like to associate with your Business Profile on Instagram with. - Make sure your profile is set to Public. Note: Private accounts can’t switch to Business Accounts. - On the Set Up Your Business Profile page, review your business’s contact information, make any changes and tap Done. - Go to your Facebook Page. - Click on Login to Instagram. It's that time of year for Halloween parties. Here's some great FREE resources to transform your photo booth into a Halloween photo booth using Social Booth. Download the zip file below for everything you need to turn your photo booth into a Halloween Booth. Free Halloween Ghost Photoshop Action. Happy Halloween from Photo Booth Solutions. Here's a free Photoshop droplet designed to work with Social Booth that creates a spooky ghost effect. You can download the droplet here. To use use, simply save the droplet to your PC and set the custom filter settings in Social Booth like the image below. Note you will have to change the path to ghost.exe to reflect where you save the droplet. BYO Booth now has Hashtag Mosaics as a display option. Simply select an image and BYO Booth will create a mosaic from the incoming photos. It's a great way to encourage guests to upload photos at your event. Use autoprint for hashtag printing, combined with the hashtag mosaic display for a truly unique experience! Check out BYO Booth here.